We share with parents living in Singapore and visitors from overseas 10 Singapore Kids Places to bring your child / children out for a fun-filled outing with family. Yes, 10 Singapore kids places we suggest you try them. Don't stuff mobile devices into your child's face to keep him / her quiet during the holidays. Bring them out for a healthy walk. Let them smell the green grass of Singapore. Show them the quaint heritage trails of our Little Red Dot. Broaden their little minds to what's out there in Singapore. The 10 Singapore kids places to visit are listed in no particular order of preference. Visit those that interest you and your child. Explore the beauty of any of these 10 Singapore kids places today. Land of Gold and Spices presents a fascinating look at how Southeast Asia was perceived, conceived of and mapped by the Europeans from the 15th to early 19th centuries. The exhibition features printed and hand-drawn maps as well as sailing instructions, including rare and indigenous Southeast Asian maps on special loan from European libraries, displayed for the very first time in Singapore. Tours are limited to 20 participants each, on a first-come-first-served basis. The first 10 participants for each session will receive a free exclusive publication, Visualizing Space: Maps of Singapore and the Region. Re-trace sections of unpaved road along the old railway line that cuts a path across Singapore. 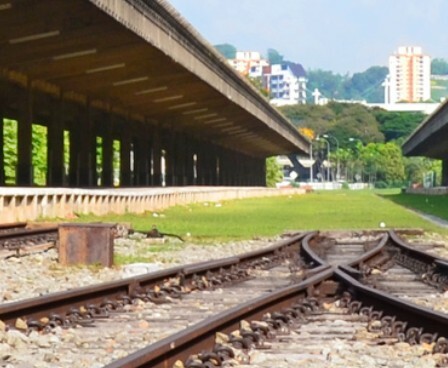 At the Rail corridor of Singapore, also known as the Green corridor, you can hike on flattened footpaths lined by shrubs and trees to enjoy the greenery of this newly created heritage trail. Your kids would surely love the thrill to run across the old railway bridge or spot the odd squirrel or two as they crisscross the railway lines. Multiple entry points to the Rail Corridor are available. Free entry. Stretches from the old Tanjong Pagar Rail Station in the south to the border of Singapore-Malaysia in the north. Some pointers to note. Patrons under the 12 years of age must be accompanied by an adult in the same boat. Patrons must be at least 9 years of age and be able to fit in a Personal Floatation Device (PFD). Address: Kallang Water Sports Centre, 10 Stadium Lane, Singapore 397774. Held from 14 March to 19 July 2015, Imaginarium, A Voyage of Big Ideas is an exhibition for anyone with a head for ideas and a heart for adventure. Imaginarium is the new edition of SAM’s much-loved annual contemporary art exhibition for children, begun in 2010 and now in its fifth year. In the spirit of SG50, this year's exhibition is inspired by the crescent moon on the Singapore flag, a symbol of a young nation on the rise with the capacity to dream big and think large. What might we be able to envision and aspire to? What worlds could we imagine for ourselves and create for others? With interactive and immersive artworks and hands-on activities at every turn, Imaginarium off ers creative space where inspiration can bloom freely and joyfully! To be listed as a World Heritage Site soon, the 150-plus-year-old Singapore Botanic Gardens is well worth a visit for local residents and well-traveled foreign visitors. Possessing a broad collection of botanical and horticultural attractions with a deep history and fantastic plant exhibits of worldwide distinction, the Gardens is the most visited botanic gardens in the world and is a unique example of the informal English Landscape Movement’s style in an equatorial climate. There are numerous food & beverage, entertainment and recreational options to keep kids and their parents occupied for a day or two. Free entry (mostly). Want to play Police and Thief? You can relive those younger days with your young brood at the Police Heritage Centre. Book a time slot to visit the Police Heritage Centre (PHC), a collection of exhibits that features the development of the Singapore Police Force (SPF) since the 1800s. Your kid and you will receive a better perspective of the rule of law, the interplay of justice and corrupt-free governance, as well as the importance of trust and rapport between the people and the Police. The Police Heritage Centre is located at the following address: New Phoenix Park, Police Headquarters Tower Level 1 & 2, 28 Irrawaddy Road Singapore 329560. Free entry. Tiong Bahru is not just a hodgepodge of architectural buildings from the old to the new in one location. It is also an oasis of old and new culture. Visit this quaint estate with your kids to learn more about the “gotong royong” (kampong spirit). Witness the transformation along the Tiong Bahru Heritage Trail at locations like Qi Tian Gong (Monkey God Temple), Yong Siak Street, the World War Two air raid shelter, Bincho/Hua Bee and Seng Poh Garden for a taste of the past and be amazed by the future. The Civil Defence Heritage Gallery traces fire fighting and civil defence developments in Singapore from the late 1800s till modern day, and is intended as a twin vehicle for showcasing the Singapore Civil Defence Force's (SCDF) proud and long history, as well as heightening public awareness of civil defence. Lee Kong Chian Natural History Museum (LKCNHM) is Singapore’s first and only permanent natural history exhibition. It showcases the preserved remains of cententuries-old specimens from Singapore, South East Asian and the world. 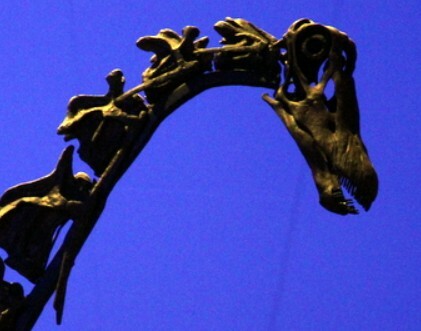 The showpiece exhibit is without doubt the near-complete fossils of three giant dinosaurs. To date, the Lee Kong Chian Natural History Museum (LKCNHM) has some 300,000 zoological specimens belonging to at least 10,000 species. Children 3 years old and above are required to purchase a ticket for admission.